There is a special place in in those dying moments of the old year that we begin to anticipate the changes of the new year. We love a fresh start, a clean slate, a new beginning. Lists of new years resolutions are made and shared with full intent, at least in the moment, to fulfill them. To desire change and improve ourselves is a natural instinct, and it is given to us so that we will have a desire to become more like Christ. Our lists of improvement should not include so many things to do, though I do not think they need to be completely excluded, but our resolutions should lead us to what we want to become. So often these lists forget the most important thing we could include, repentance. The turning of one year from another does not truly change anything, unless you’re the IRS. But you are the same person on December 31st as you are on January 1st. Only true and sincere repentance can give you that clean slate, that fresh start, that new beginning that we so obviously yearn for. Repentance is an interesting word – so many of us are proud in our “lack” of need for it. We don’t commit serious and obvious sins, so we don’t see the need to daily repent or for daily use of the atonement so as soon as someone starts talking about repentance we zone out. Repentance does not only mean forsaking sin or being forgiven of sin, though repentance often includes those, repentance means to change. Repentance is the “contrite” portion of the phrase “a broken heart and a contrite spirit” necessary to unlock all those necessary enabling and strengthening powers of the atonement. No New Year’s resolutions we make will inspire true and lasting self improvement if we do not include repentance. I love that we spend the month before we write our New Year’s resolutions celebrating Christ, whose atonement gave us the power to repent. Reflecting on the life of our Savior is, in and of itself, a push to improve ourselves. We can not sincerely think on His life without desiring to be like Him. We have spent the month reflecting on our who our Savior is, and now we transition to a time where we reflect on ourselves – who we are now and who we want to become in the future. It is time to put aside all self-deception; it is a time of absolute sublime truth. All excuses, all facades must fall by the wayside, allowing our spirit, as it really is, to commune spirit to Spirit with our Father. At this moment we become our own judge, contemplating what our life really is and what it really should be. The New Year is not the only time we have to start clean, to reflect anew on who we are becoming, in fact it is not even the best time for this self reflection. We have weekly opportunities to do so as we partake of the sacrament. Each week we are given the opportunity (it is not automatic, you have to do your part) to start with a clean slate. 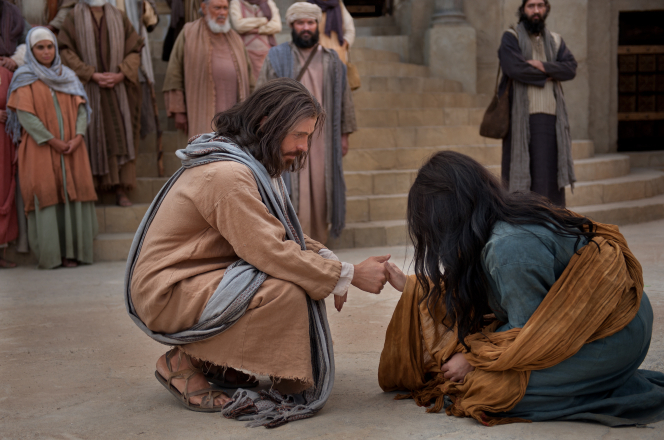 The sacrament is a time to meaningfully reflect upon the life of the Savior, to examine and match our own life against his perfect example, and then to resolve to narrow the gap. Heavenly Father knows how quickly we mortals tend to forget, that’s why we are given the opportunity to be clean so frequently and why the word remember is so prominent in that ordinance. If we only reflect once a year, our resolve will not last all year, but with sincere weekly reflection and correction we can truly achieve the mighty change of heart required to be like Christ. I hope that in our yearly and weekly reflections we can look past the tempting “to do’s” and focus more on the eternal “to be’s”.